By far the question I’m asked the most is “how does an Australian end up in Germany?” I’ll give you the short version of what's turning out to be a very long story! Let me drop a few hits: some inspiring old fellas, a massive wave, terracotta bricks and a certain girl. After I finished university in Melbourne I became a newspaper reporter. Interviewing people, photography and writing: I loved every part of it. No question, journalism was the job I knew I wanted to do for the rest of my life. After leaving Australia I planned to get back into it someday and I guess, through this website, I already have. But anyway, after a few years at a small-town newspaper I got the chance to go to China to write about an Australian trade delegation which was visiting there. While hanging around a certain hostel in Beijing I met some long-term travellers, guys who’d been on the road for years and in some cases, decades. trade fair in Urumqi, China. The lesson I learned from them was that you didn’t have to lead a conventional life of office, home, sleep, repeat. They had made their lives into an adventure. I was determined to do the same. So that’s when I made the biggest decision I'd ever make: one more year at a suburban newspaper, and then I’d be off around the world. new friends on Tioman Island, Malaysia. I travelled around South-East Asia for a year, soaking up the culture, great food and doing some travel writing for other websites. But by far the most rewarding experience was the four months I spent in Khao Lak in southern Thailand. This was in 2005, so less than a year after that region was devastated by the massive Indian Ocean Tsunami. Volunteers had come from all around the world to help the locals get back on their feet. Working alongside Thai villagers in Nam Khem, about eight months after the tsunami. 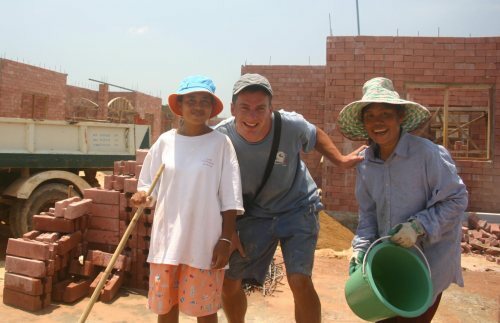 I worked on a construction site in a fishing village called Nam Khem – digging holes, pouring cement and laying bricks. It was hard work but a lot of fun and of course, very rewarding. It was there I met a girl from Bavaria who became my girlfriend for a while. Things were going pretty well for us, so I decided to move over to Germany and give English teaching a go. After 12 months in Asia I was ready for a change anyway. 35℃ every day is great for a while, but I’d still never seen a flake of snow in my life. What better place to start a new chapter of my journey than in Bavaria! 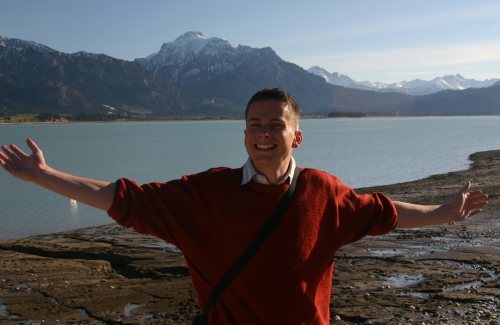 Arrival in Germany: this was taken on my first visit to Lake Forggen, you can kind of make out Neuschwanstein Castle in the background! And so over I came. The relationship with that girl ended pretty soon but I'm still in Germany, I guess I’ve fallen in love with the place. Although I was enjoyingEnglish teaching immensely I started looking for a way back into my primary passions in life, writing and photography. Eventually I came across the idea of building my own website. 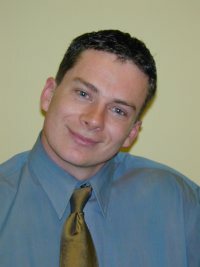 It was an interesting proposition – I’d never tried website building before. But with a lot of patience a bit of inspiration from others who’d started travel successful websites I gave it a go. The main part of it was the writing and photos, right? and yes, those are my own lederhosen! I started reading up everything I could find on Munich and venturing into unknown quarters of the city. I went to every museum I could find, attended every festival and read up on the history. The more I grasped what made Munich tick the more I became fascinated, and I started believing this really was the world’s greatest city. I hope that passion comes across in my writing and rubs off on those of you who are planning a trip to Munich. 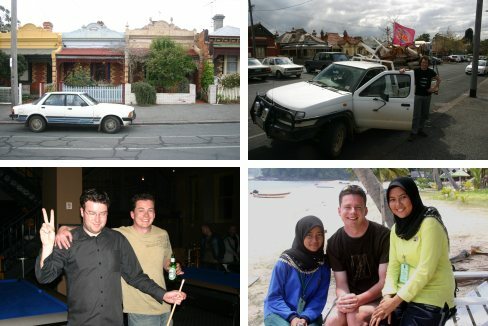 Of course, I still miss my home in Australia, especially my friends and family. Hey, I can always go back one day! Until I do, I’m going to make the most out of my time here in Europe. There is so much to see, and so many different cultures to experience all in a relatively small area – well, compared to Australia, anyway! I’m still enjoying the journey, I hope you enjoy yours as well. 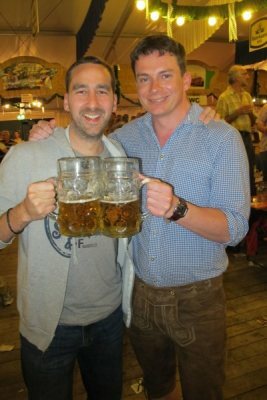 I’m eager to hear about your own experiences travelling in Munich and Bavaria, and this site is open to anyone who wants to contribute. If you’d like to send in a story, please do so. I’ll give you a page with a full writer's credit and a link back to your own blog or website if you have one. Please write to me at this address stuartadmin@destination-munich.com or if that address doesn't work (sometimes it doesn't) try stu700@googlemail.com.